Title defects can take many different forms. For example, there may be a prior mortgage or lien against the property, there may be another party claiming ownership to the property, there may be a party claiming the boundary of the property is different from what the buyer understood, there may be parties claiming rights to easements over or under the property, and other matters that affect the property’s marketability. When a title defect is discovered, the titleholder often has recourse against various parties, including the title insurance company, the title agent, or the seller of the property. When you discover that there is a problem with the ownership of your property, you want counsel that is experienced and knowledgeable about title insurance, real property law, and litigation. 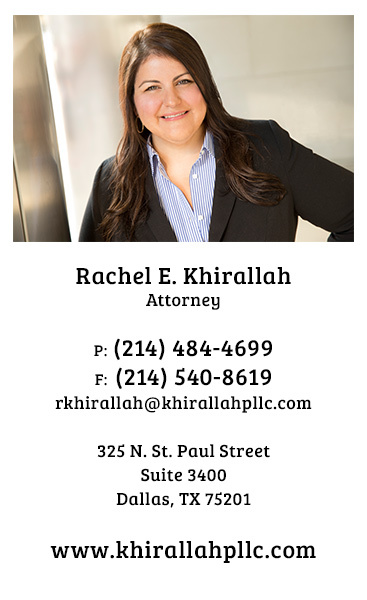 Ms. Khirallah has experience both bringing and defending title insurance claims. You buy title insurance to protect yourself against claims that may affect the title to and, therefore, the marketability of your property. If you have a title claim and your insurer refuses to clear the title or pay the claim, you need experienced counsel on your side. The same is true if a claim is brought against you due to a missed mortgage or lien at the time of closing. If a title insurer denies coverage exists for a valid claim, you may be able to recover your attorney’s fees from the insurer. Because title insurance is very limited in the coverage it provides, it is a very difficult area of the law and experience and knowledge is a key factor in triggering coverage. If a covered claim arises, and the title company fails to pay you for covered losses up to the limits of your policy, you have a claim against your title insurance company. Covered claims can include unrecorded easements, unrecorded deed restrictions, liens by previous contractors prior to your purchase of the property, and various other encumbrances that affect the ownership of your residential or commercial property. Ms. Khirallah zealously represents her clients to make sure that the title company covers such claims.